We are continuing our life-long and life-deep work with Adult Education in Arizona. 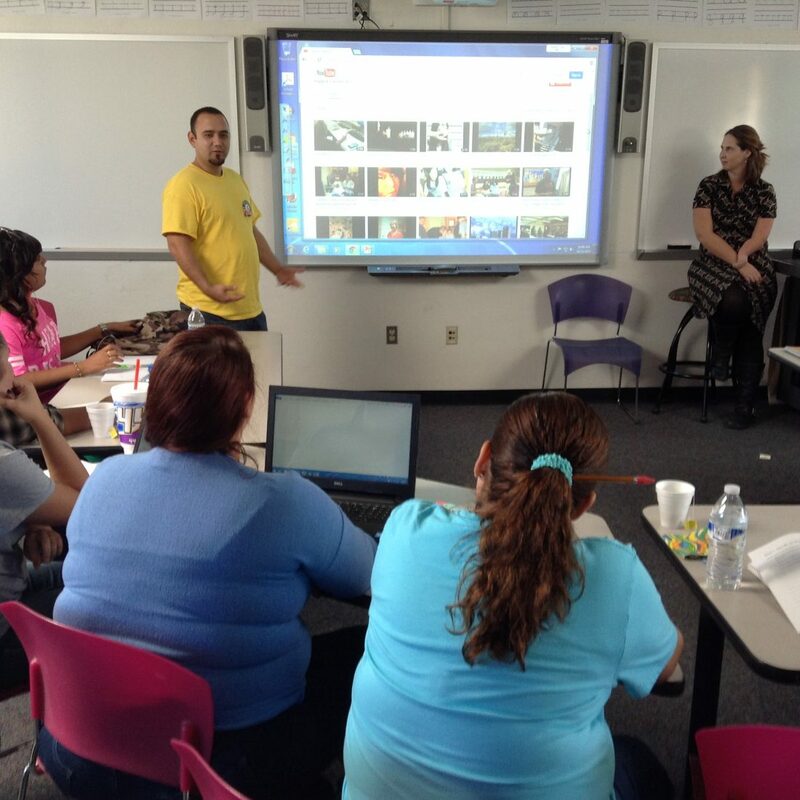 Since 2006, we have partnered with Pima Community College ABECC and the Arizona Department of Education through their annual Digital Storytelling Institute. The focus of these stories is college and career readiness. It’s a perfect fit. We know that digital storytelling is an interesting way for students to engage with class content. We hear many examples of how students love using and creating multimedia stories- it improves class retention and students gain valuable technical skills. But what about those “soft skills” that are getting so much attention these days in higher education? Things like critical thinking, problem solving, creativity, innovation, communication and collaboration. These are all skills needed to succeed in work and academic life and are completely integrated in the process of creating and co-creating multimedia stories. We’re very proud of this continued and deepening work. We love having former students show up and step in as coaches and co-trainers- This is what sustainability looks like to us. To give you an idea of who the students are and how important adult education is in the community, take a look at Mike’s story, created at Pima College Adult Education, which was featured in “The Change Agent” and was a winner of the AALL (AZ Association for Lifelong Learning) Literacy Week Digital Storytelling contest.